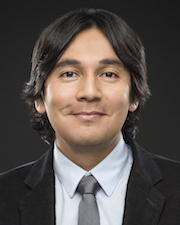 Manuel S. Gonzáles Canché, an associate professor in the Higher Education Division, has been awarded a 2018 National Academy of Education/Spencer Postdoctoral Fellowship. He is the sixth Penn GSE faculty member to receive the prestigious award in the past five years. NAEd/Spencer postdoctoral fellowships are among the most competitive awards early-career education researchers can receive. Each year, NAEd/Spencer selects 30 scholars from a pool of about 300 applicants. The award provides the recipients with a $70,000 stipend to pursue postdoctoral research projects that, according to the program, make “significant scholarly contributions to the field of education." González Canché joined the Higher Education division as an associate professor in 2017. He serves as affiliated faculty with the Human Development and Quantitative Methods division and the International Educational Development Program. In his NAEd/Spencer project, González Canché will use big and geocoded data, predictive analytics, and ethnographic analysis to identify strategies to improve the democratizing function of community colleges. The largest share of low-income, minority, and first-generation college students in the U.S. access postsecondary education through community colleges, and yet these institutions struggle to find the means for their students to persist and attain a two-year degree or transfer to a four-year college. González Canché will document strategies and processes used by community colleges that are overcoming barriers to success despite having less access to locally available resources, and then will develop strategies to replicate these practices. González Canché was also just named a TIAA Institute Fellow, which recognizes scholars with expertise in financial literacy and strategic management in education. Anglum, who received his master’s degree in Education Policy from Penn GSE in 2014, is a 2017–2018 Moorman-Simon Doctoral Fellow in the Education Policy division. His dissertation research examines the relationship between school district credit constraints, crucial investments in public schools, and underserved student populations. While school finance research has revealed the important role of resources on outcomes for economically disadvantaged students, the role of district debt issuance is a largely unexamined aspect of school finance.